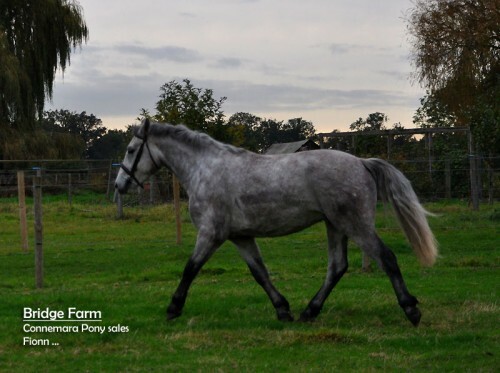 Ballydoolagh Fionn is a 3 year old grey Connemara gelding with a good jump and genuine temperament. 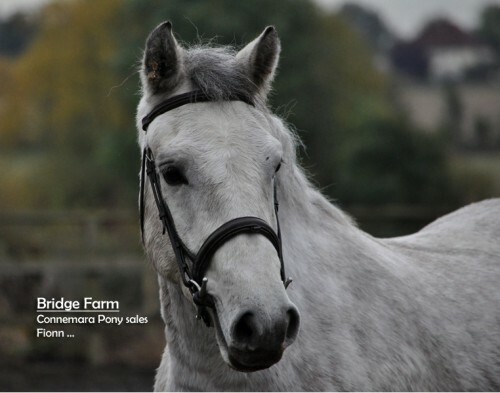 He is a very true to type Connemara gelding with a lovely temperament, good movement and good manners. He loads and travels well. 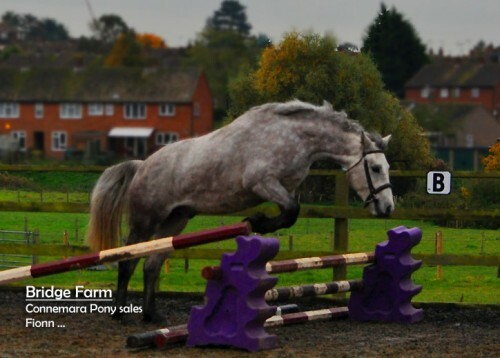 He has a fantastic jump and is mature for his age. He is well handled and has been bitted and tacked up ready to break. Nothing seems to faze this lovely Connemara gelding. 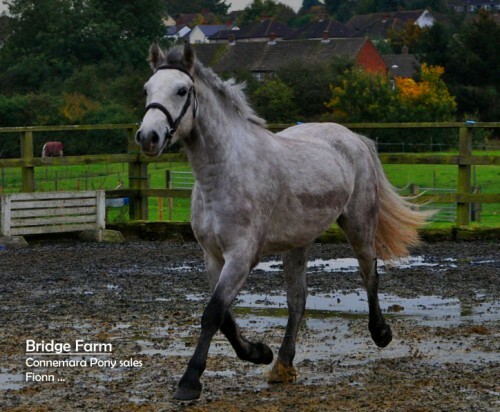 He is currently turned out with other mares and geldings and is happy with no problems. 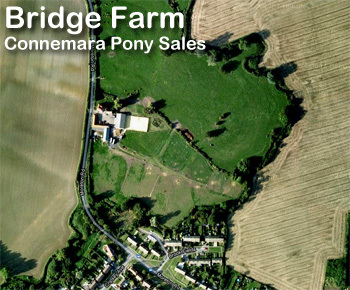 A very good genuine, young Connemara gelding, an unspoilt horse. We are very pleased to hear from Tina who now has Fion. They have progressed very well, now walk trot and canter established and hacking out regularly. Fion I’ve been informed is behaving very well. He has even been treated to a new saddle by his new owner Tina. Indeed Tina has been asked if she would sell him and needless to say now she has found him it was a big NO! We hope that all continues well with your progress well done both of you.